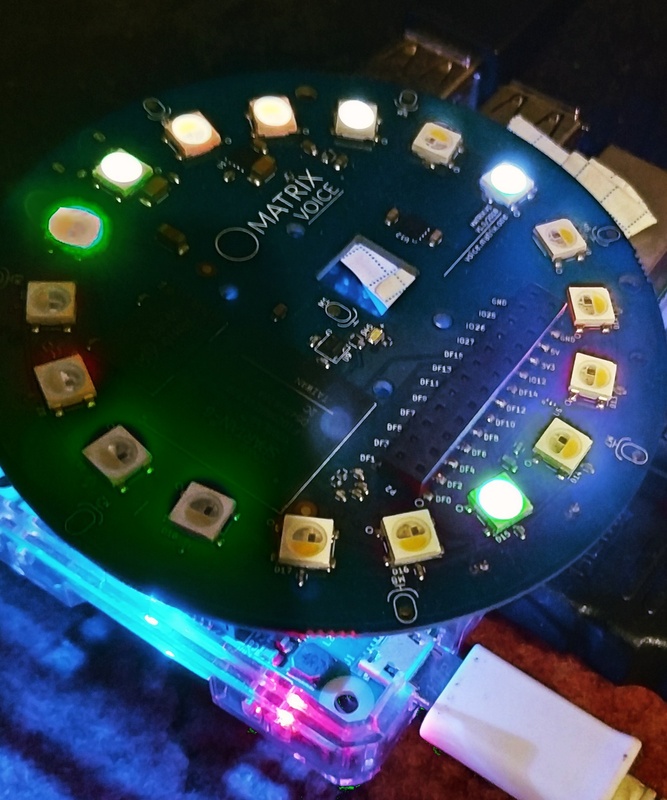 Make MATRIX Voice with Android Things (1.0) great again. Unleash the full power of MATRIX Voice with NDK. I made and tested this project on the MATRIX Voice Board. The benefits are far fewer hardware problems with the polling frequency, and another advantage is that it really works. Another plus of this -- normal app structure in single activity style. All black magic casts on C++ level, Java does work as white collar --visualization and other network activity. upd: mic energy demo, mic kiss fft demo added & tested, tested at 44100 sampling rate - ok.
Next step -- audio out. Stay tuned!